Almost blending in with its surroundings, the village of Gourdon is perched precariously on a hill top overlooking Gorges du Loup in Provence, France. Village of Gourdon, Gorges du Loup, Alpes Maritimes, Provence, France, Europe. 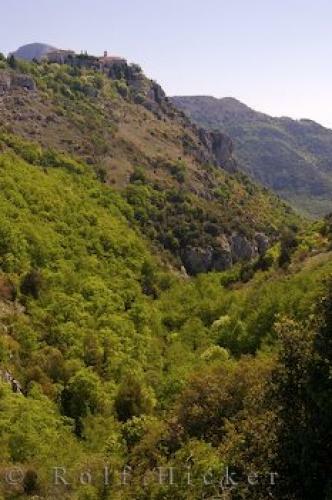 hill top in the Alpes Maritimes of Provence, France.